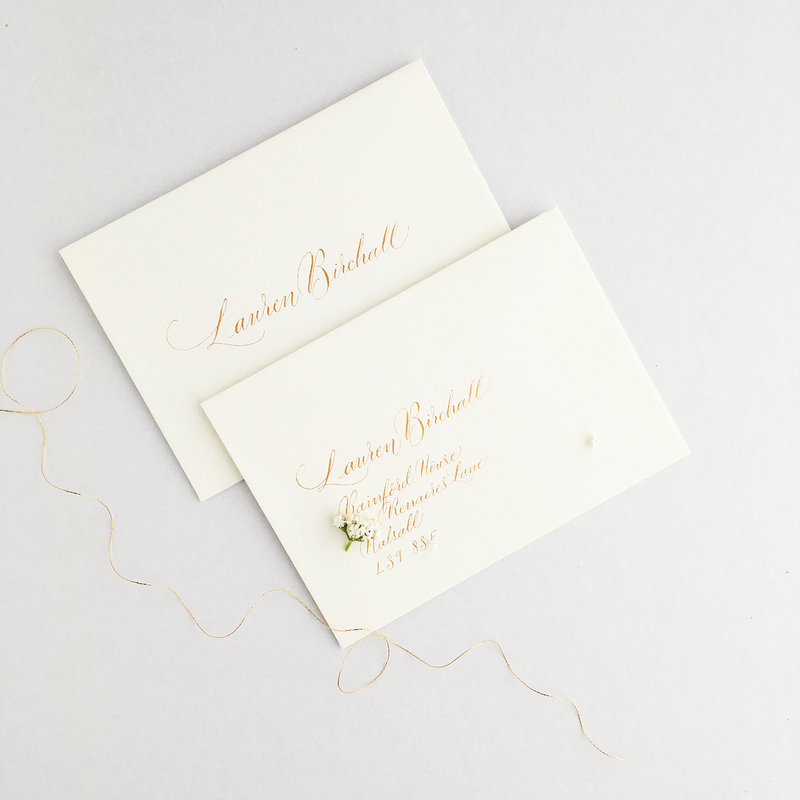 The lost art of lettering – for business! We are so lucky to live in the online age. We type more often than we write. 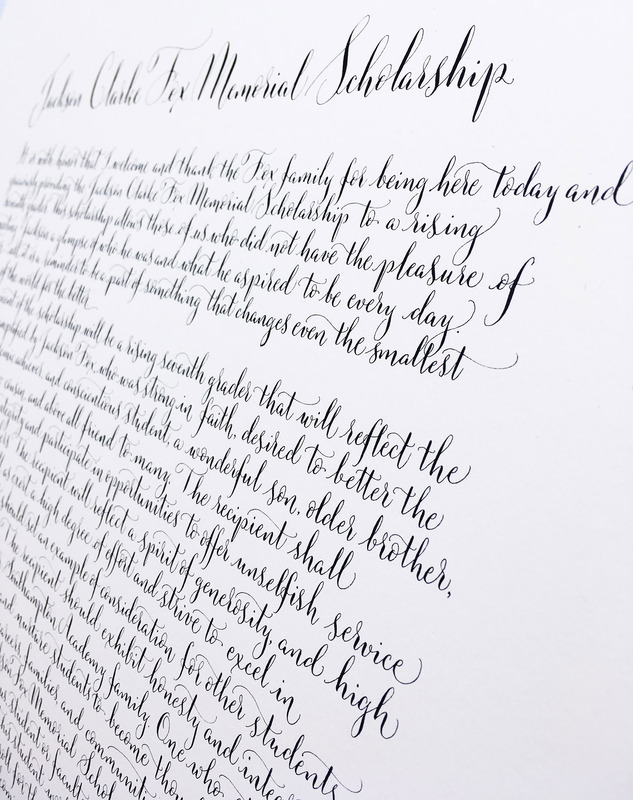 Calligraphy now is an art, a skill which takes years of practice to develop to a professional level. 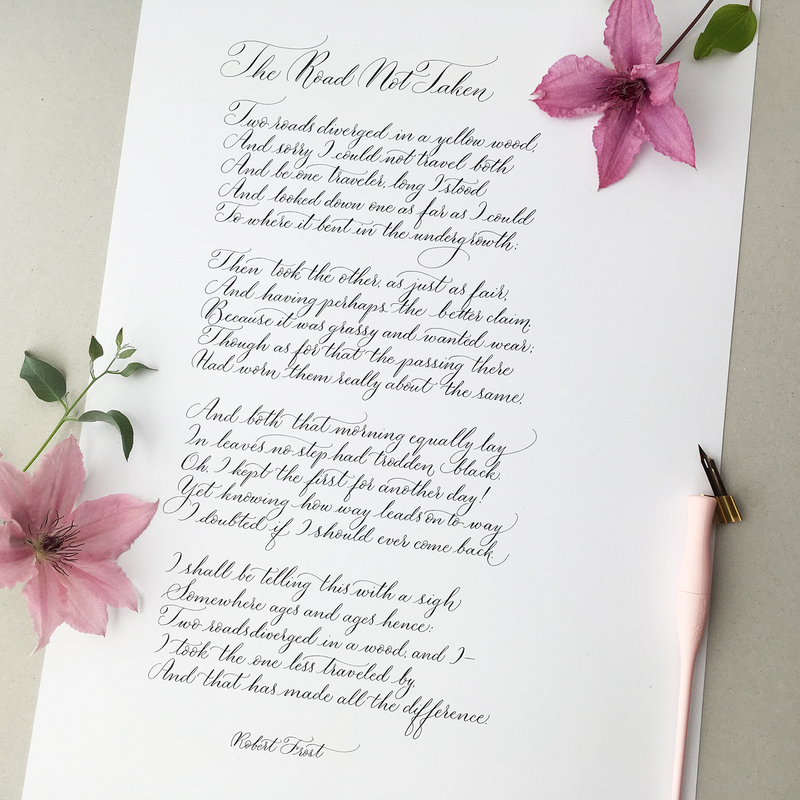 But did you know that writing a beautiful calligraphy script was once as important to building a career – any career – as computer skills are today? I have a small collection of antique calligraphy books; I love exploring old bookshops and discovering 20th century calligraphy instruction books. 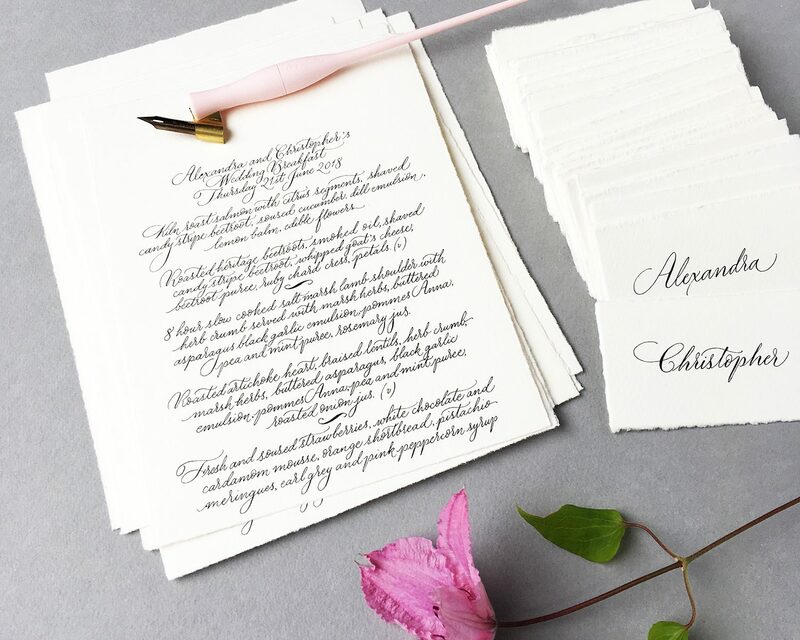 In the early 1900s many books were written on the subject of penmanship for business. 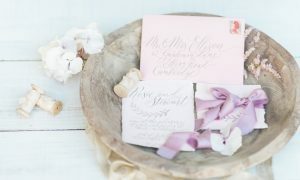 They are fascinating to read now, not just because we no longer write this way in our daily lives, but because the scripts and examples they include are so intricate and graceful to see. 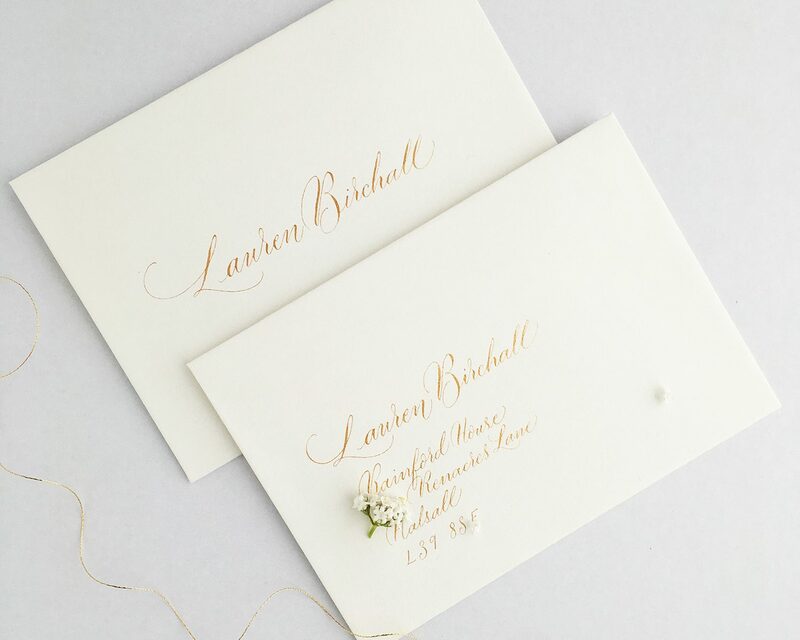 I can’t begin to imagine how much a solicitor would have charged, a hundred or so years ago, to notably represent his clients in court but also to present written documents in the most exquisite hand calligraphy. And imagine, if you wanted to apply for a job as a solicitor – how beautifully you’d have to write your CV and covering letter?! 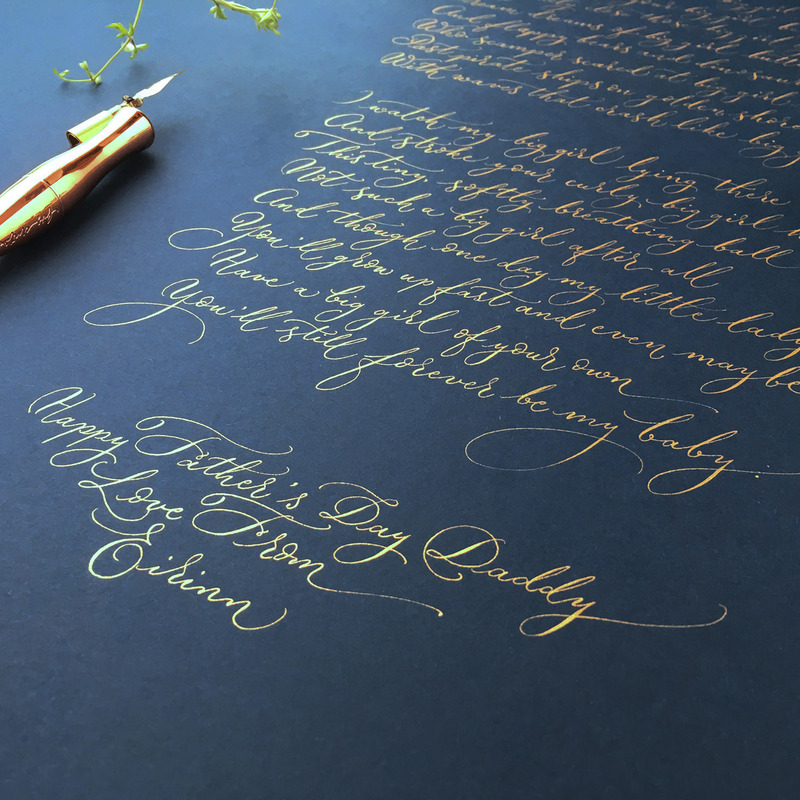 More than anything, I’m proud to be part of a new calligraphy era; young men and women all over the world are picking up pens and creating art for pleasure; lettering is no longer the province of rich businessmen, but a craft enjoyed by tens of thousands of artists all over the world. 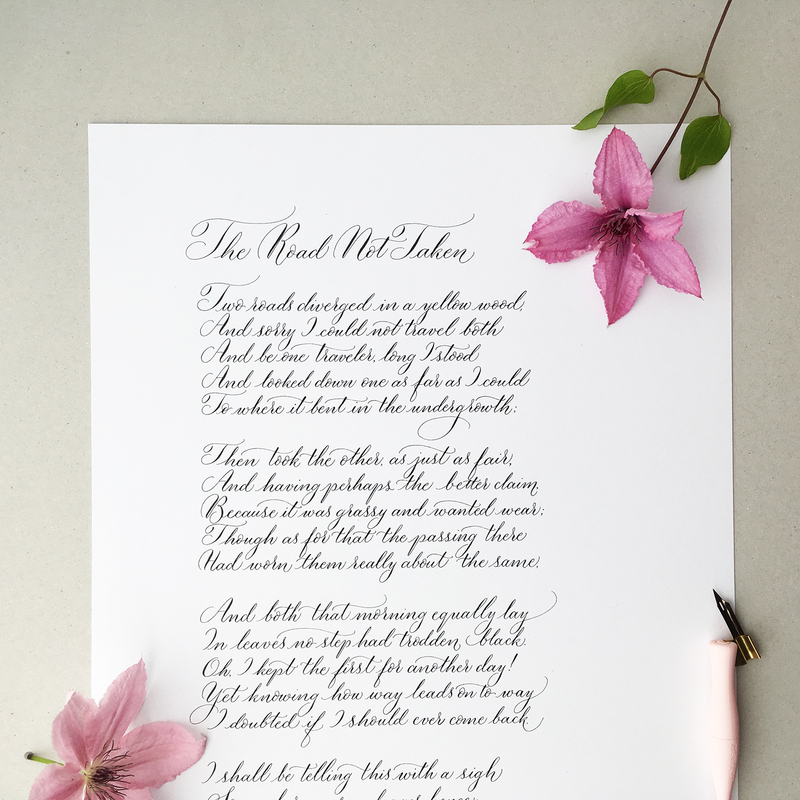 This poem is timeless, thought-provoking and simple. I’ve written it countless times, and it never fails to make me think. 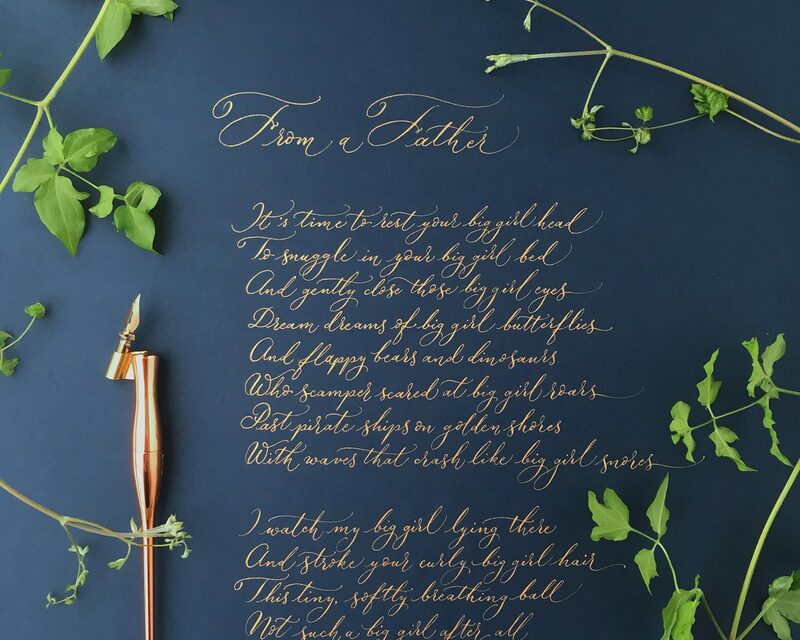 This is calligraphy at its best – writing out a poem is a slow process where you have to consider the shape and flow of every word. 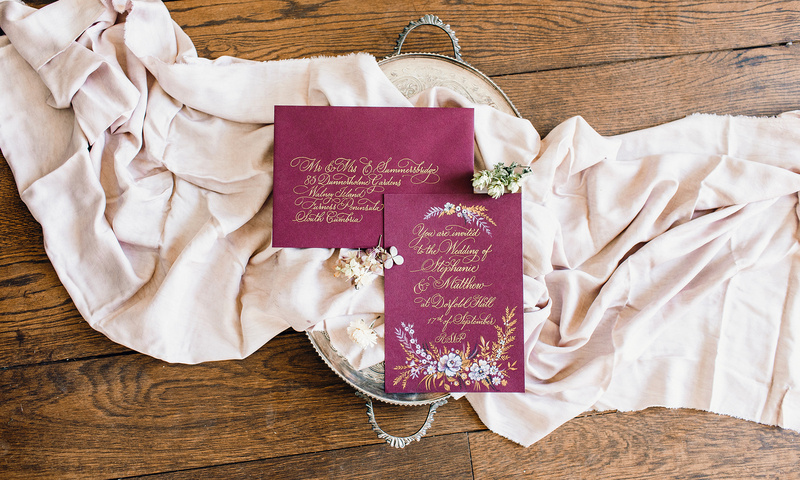 The slowness of calligraphy lettering also allows time to reflect on the meaning of each line. 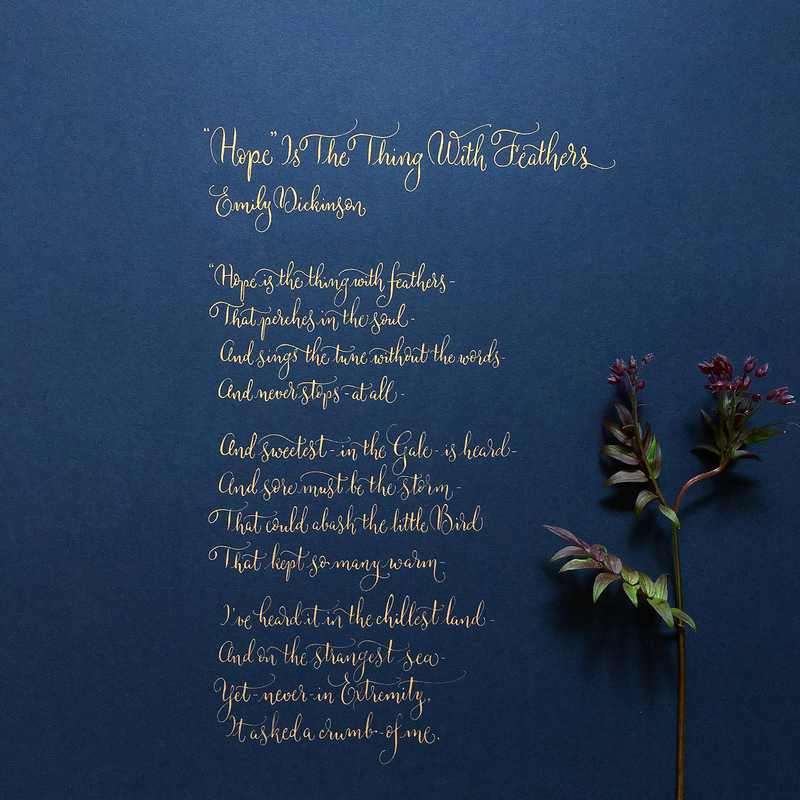 I’ve been reading ‘Mindful Thoughts for Walkers: Footnotes on the Zen Path‘ by Adam Ford, a brilliant book for walkers which references Robert Frost’s poem – it’s interesting to see how often this piece is referenced elsewhere. I guess it means a lot to many people. 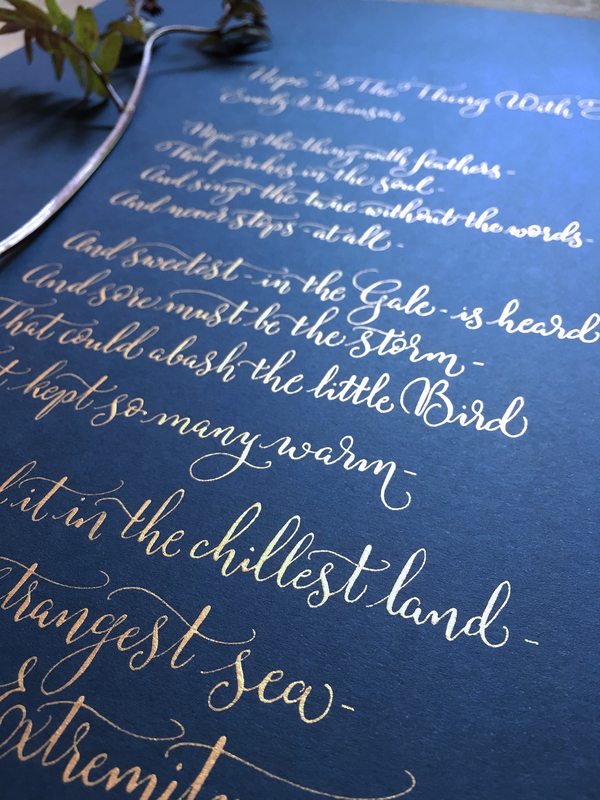 Are you struggling to refine your modern calligraphy technique? Do you have all the kit, but you just can’t quite get the technique despite watching every insta and youtube video going? 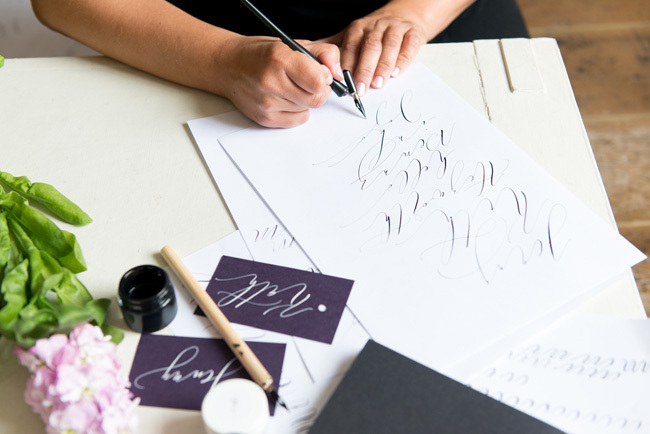 There’s one tip which I teach at the very beginning of all of my calligraphy workshops. 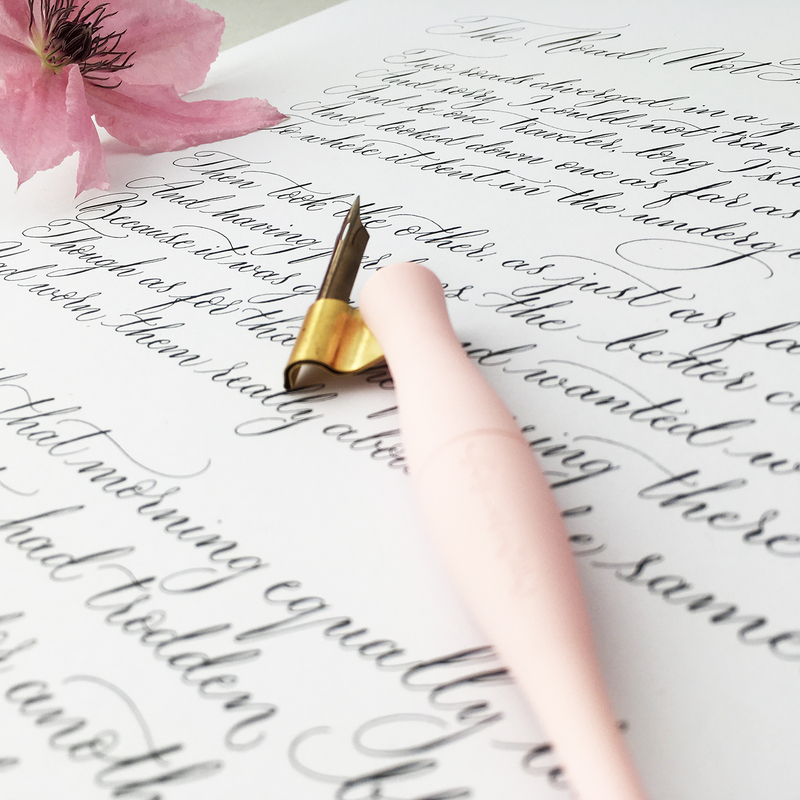 It will make or break your calligraphy. Getting this single thing wrong is the cause of scratchy noises, of jagged lines, of ink spatters and more. Sound familiar? I know – everyone does it unless they’re taught not to. It’s not the most obvious thing to spot on online videos. 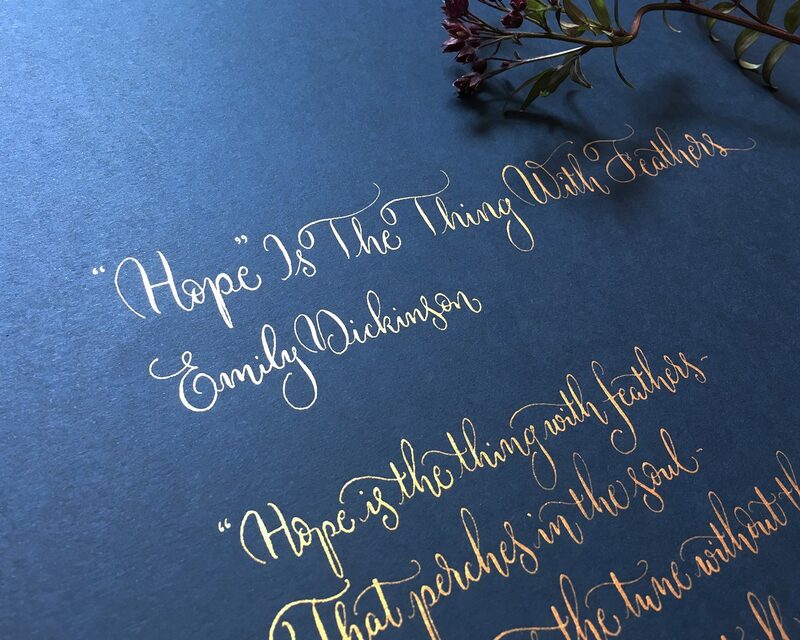 But it is crucial to your calligraphy technique. 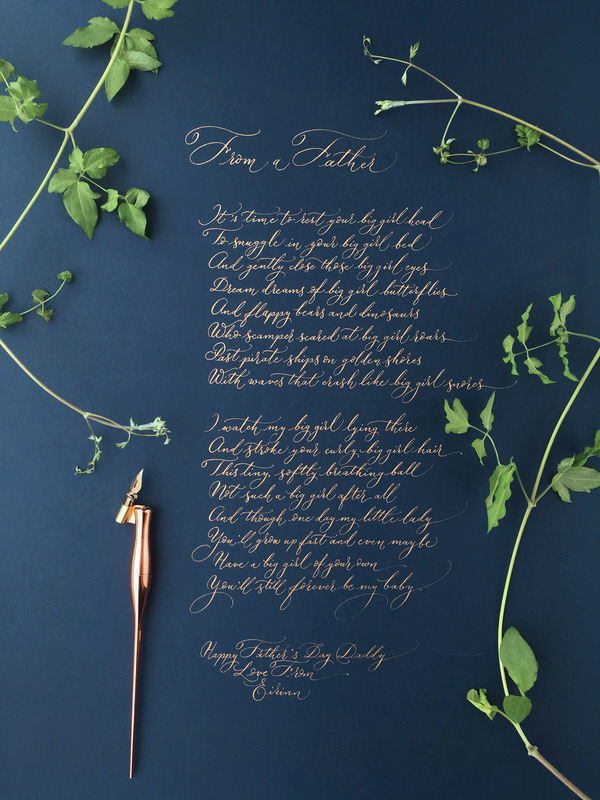 Your calligraphy nib HAS TO point in exactly the right direction. 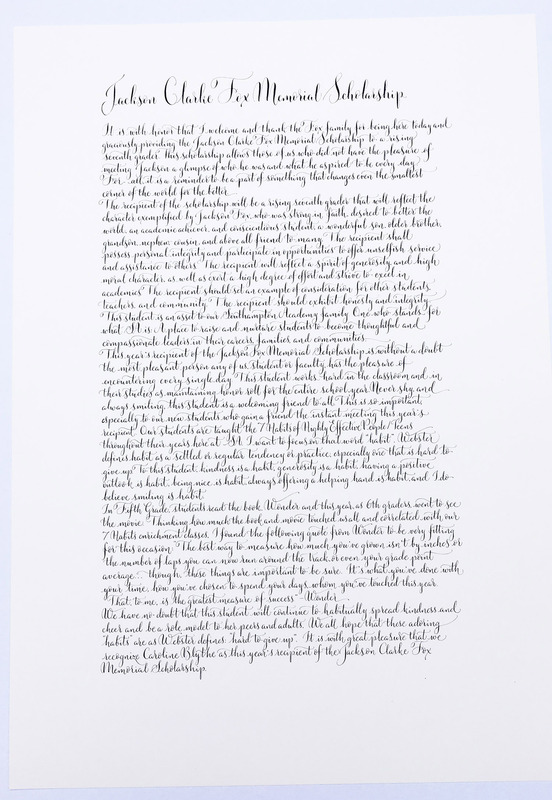 If your writing style slants to the right, then your nib should point to one o’clock on the paper. If your lettering is straight up, ie vertical on the paper, then your nib HAS TO point in the same direction. 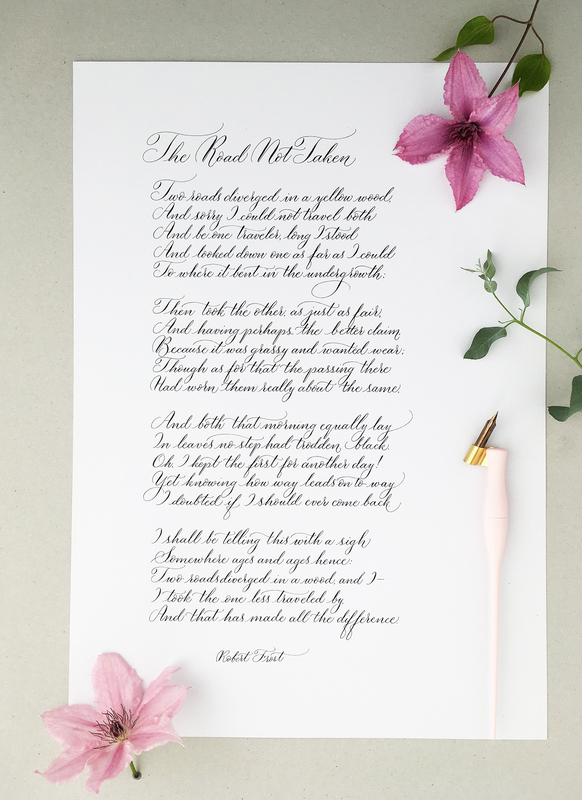 Because of the way a calligraphy nib splits as you write, it’s essential to put equal pressure on both sides of the nib (the tines) as you go. 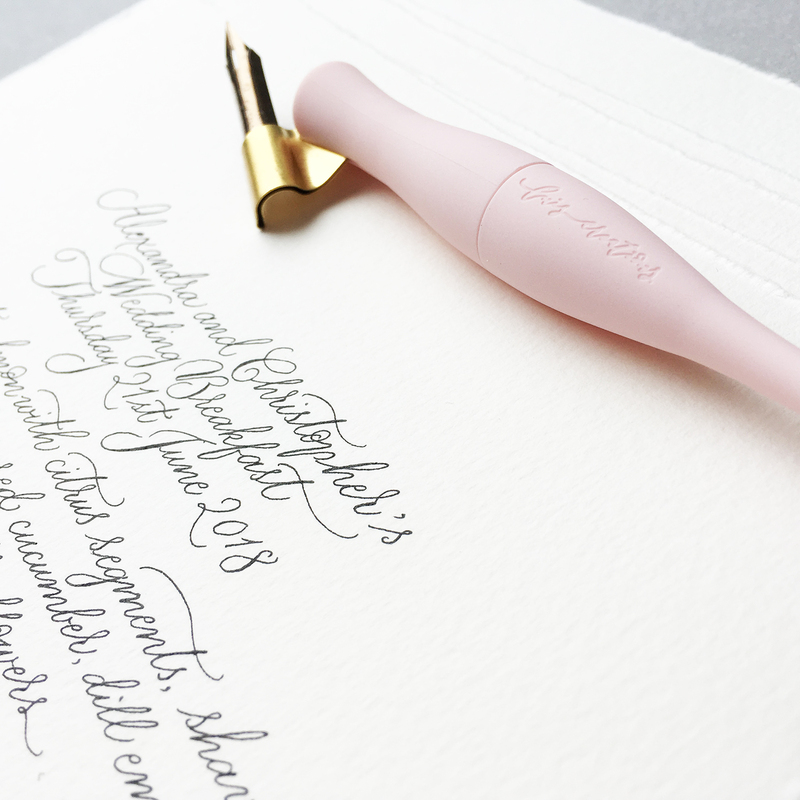 If you press too hard on one side, if your nib twists or rolls to one side as you write, you get a kind of scissor effect with the tines of the nib. Imagine cutting with scissors – the ends cross: that’s how they cut. 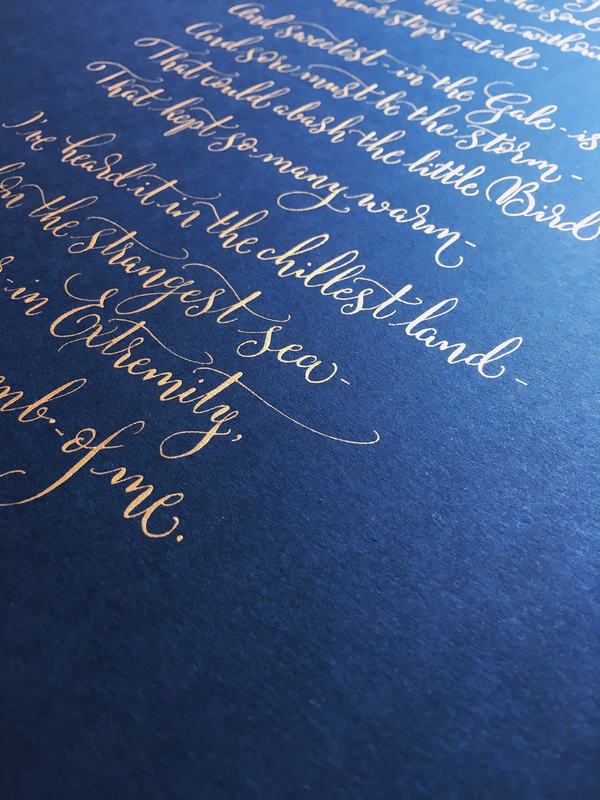 It’s the LAST thing you want your calligraphy nib to be doing. 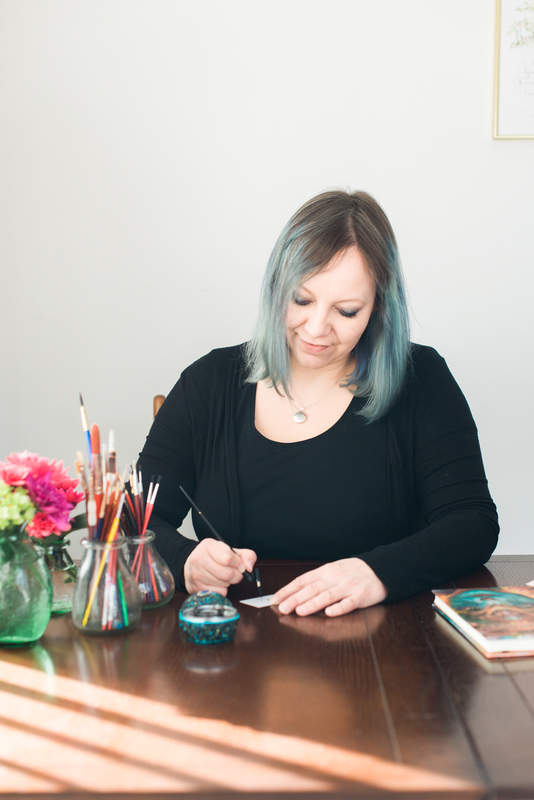 Naturally most of us hold a normal writing pen (biro, fountain pen) pointing towards about 10 o’clock on the paper. 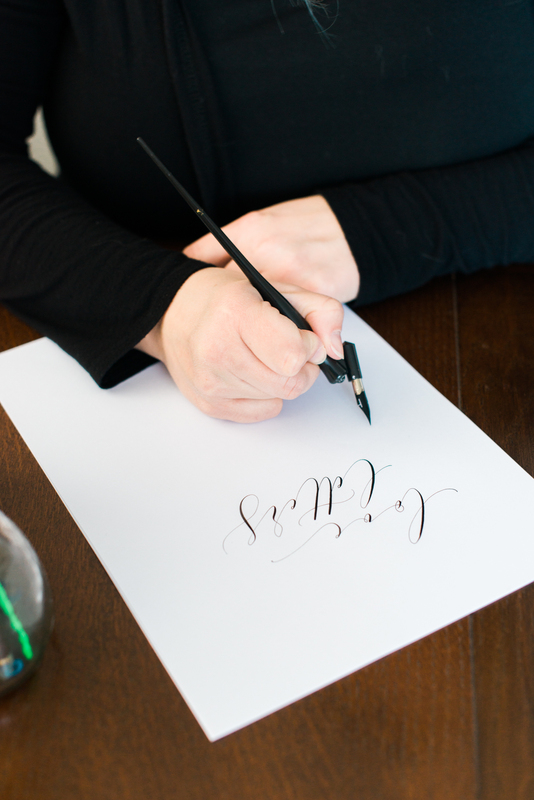 Using a calligraphy pen at this angle will make smooth lettering impossible. If you find it hard to adjust the angle of your hand / pen / nib to point towards 12 or 1 o’clock, turn your paper. 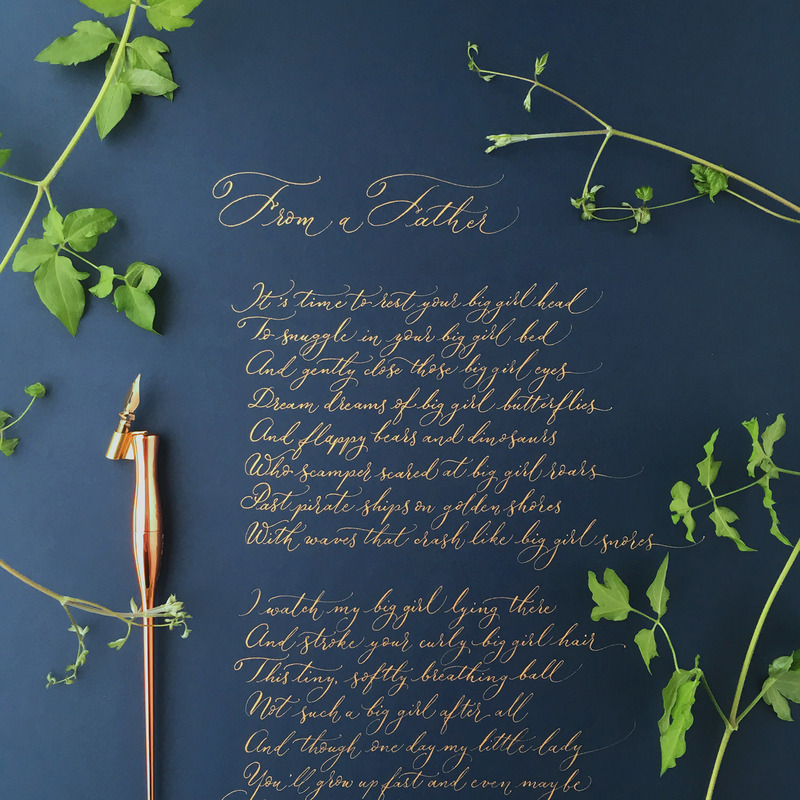 Mine tends to be at 90 degrees on the table when I’m practising modern calligraphy. Have another look at those insta and youtube clips you love. 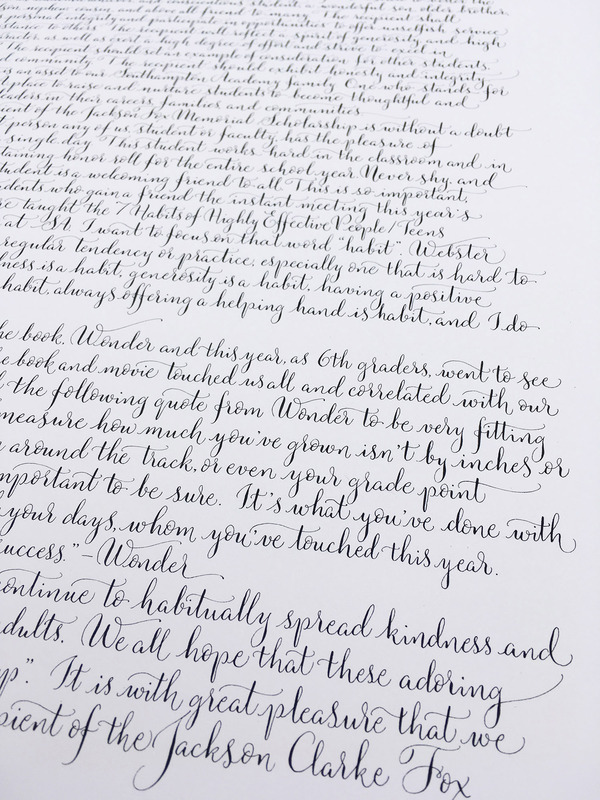 You’ll see the calligraphers are all pointing their nibs in the direction of their writing. 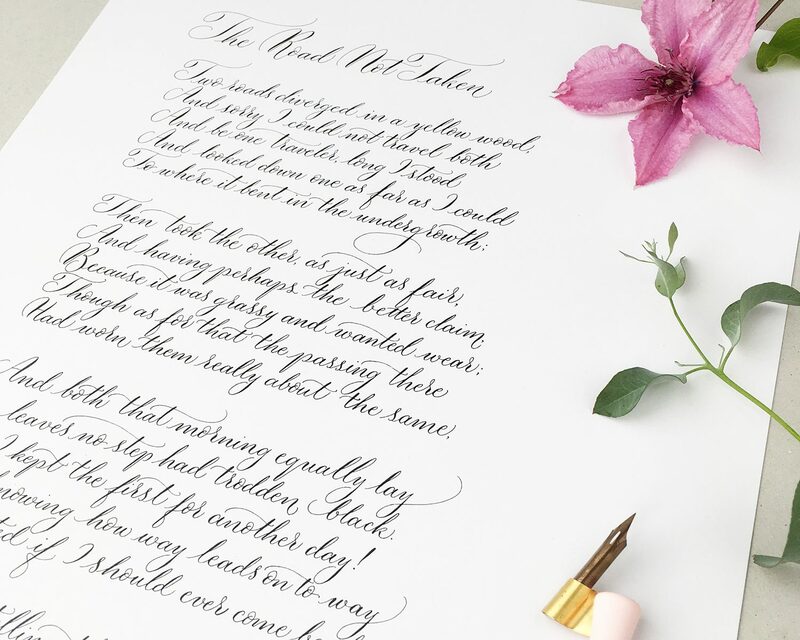 This is the secret to mastering modern calligraphy, and I spend the first fifteen minutes of my calligraphy classes making absolutely sure everyone has this nailed. From then on, it’s pretty plain sailing! 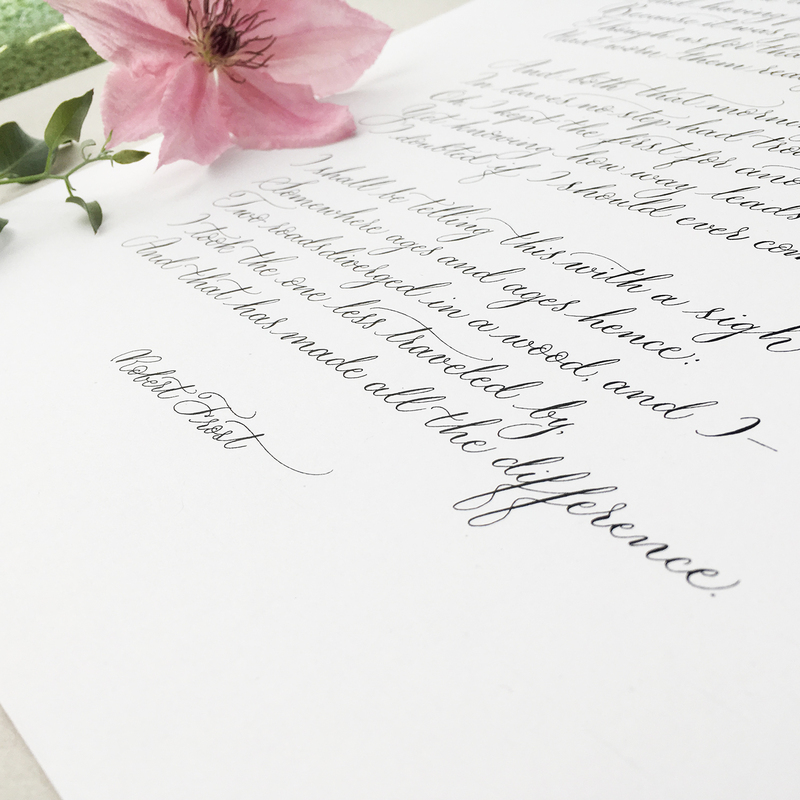 Join me for calligraphy summer school at Manchester’s Ziferblat Edge St on the 18th of August. 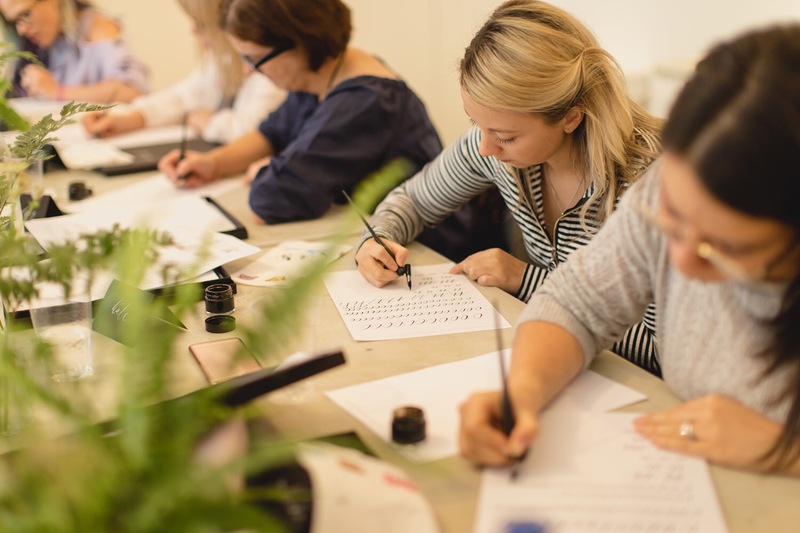 It’s only £35 for 90 minutes of calligraphy learning, aimed at absolute beginners. I’ll show you exactly how pen angles work (and we’ll talk about how vertical they should be too!) 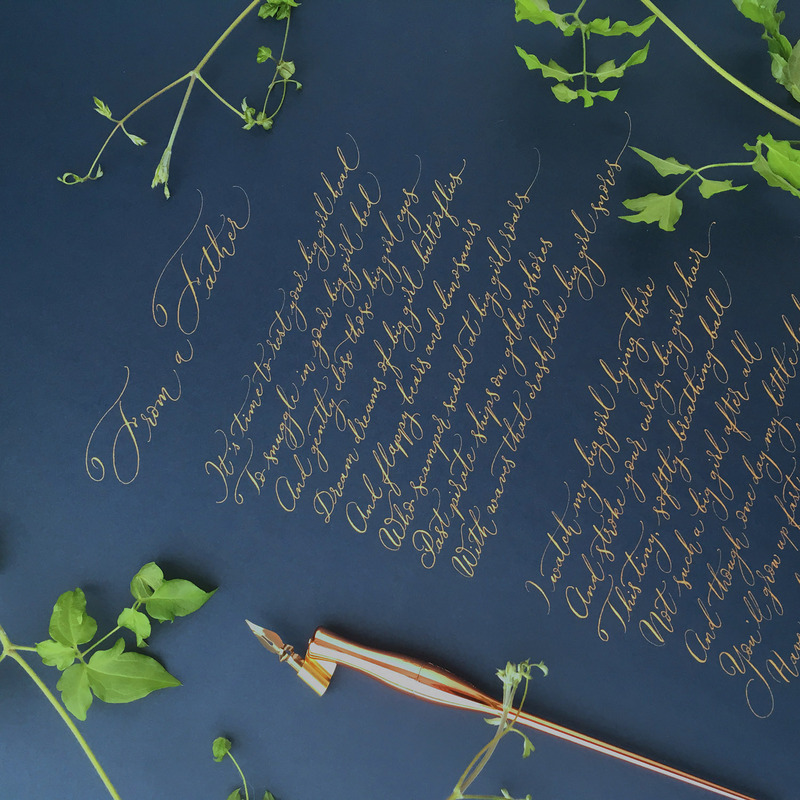 – and share more tips for mastering modern calligraphy. 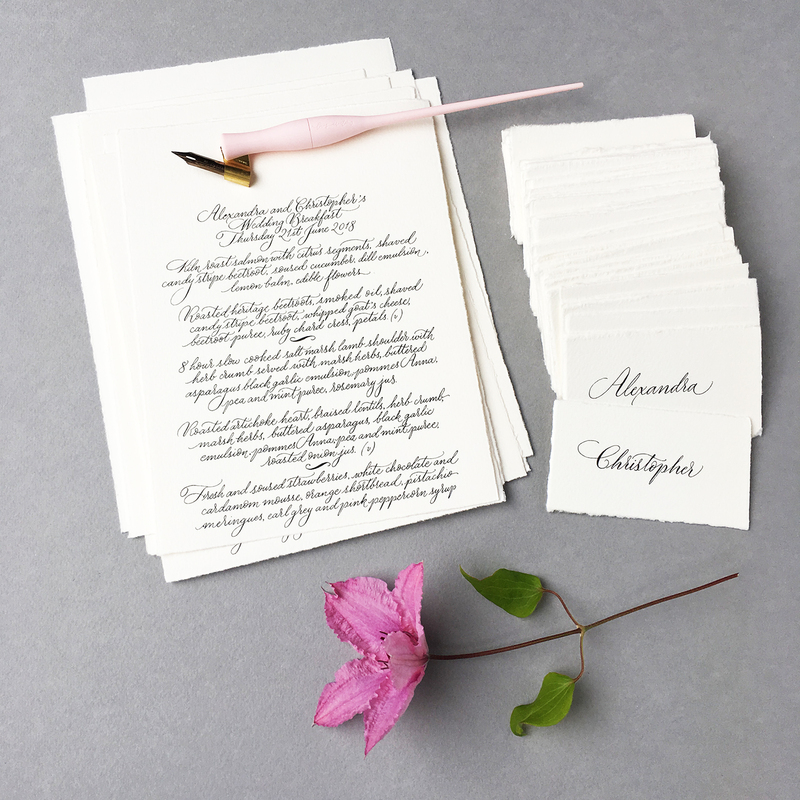 Last week was a bizarre and wonderful mix of calligraphy commissions – if anyone imagines the life of a calligrapher to be all wedding invitations, it couldn’t be further from the truth! 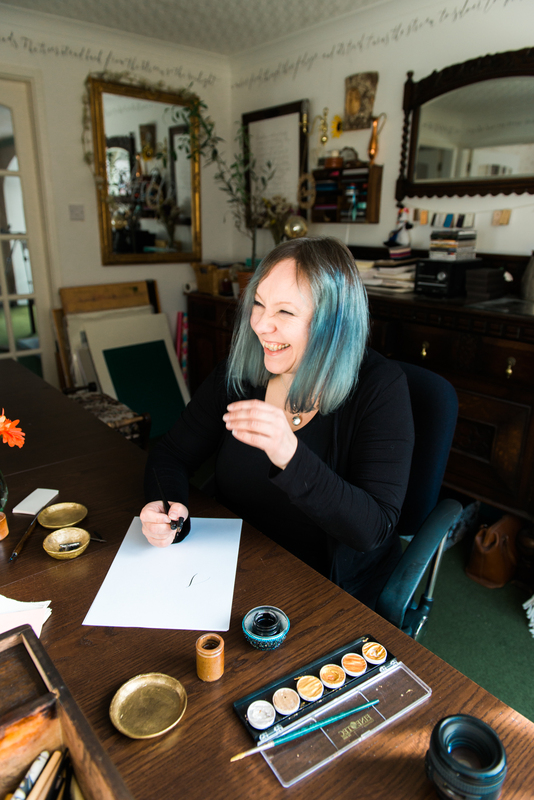 It’s one of my favourite things about Etsy: the requests for bespoke calligraphy commissions which come from all over the world can be anything, and no two weeks are the same. 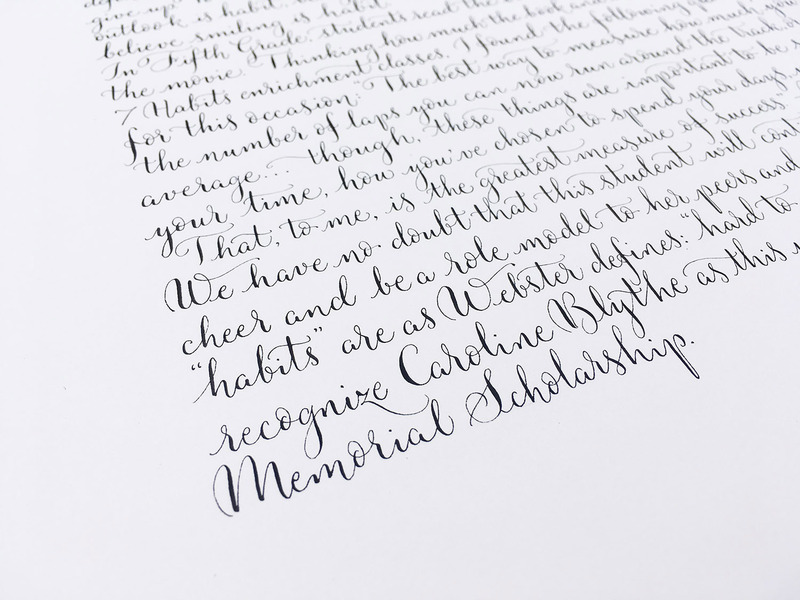 This memorial scholarship award certificate was almost 600 words in modern calligraphy lettering, so space was at a premium even on A2 paper. Planning the layout for a piece like this takes a while and has to be meticulous – after 10 hours of writing you simply can’t afford to run out of space! 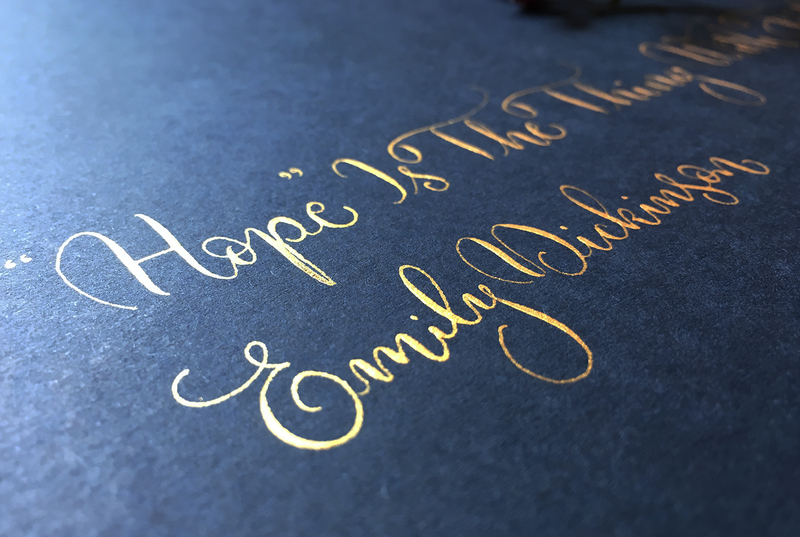 I generally take a few goes to be happy with the lettering on an important commission like this – the flow and rhythm of the calligraphy has to look and feel right… on this occasion it meant my first two attempts at the opening paragraph went in the recycling. The third just flowed and felt right – and this is the version you see.